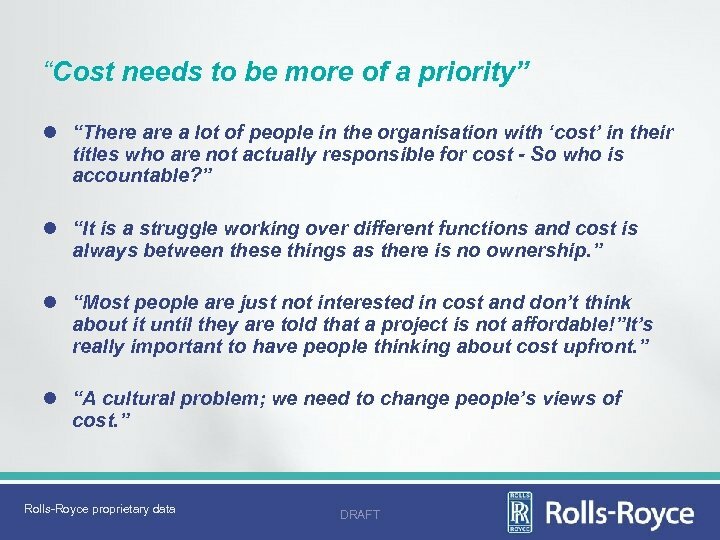 ACost. 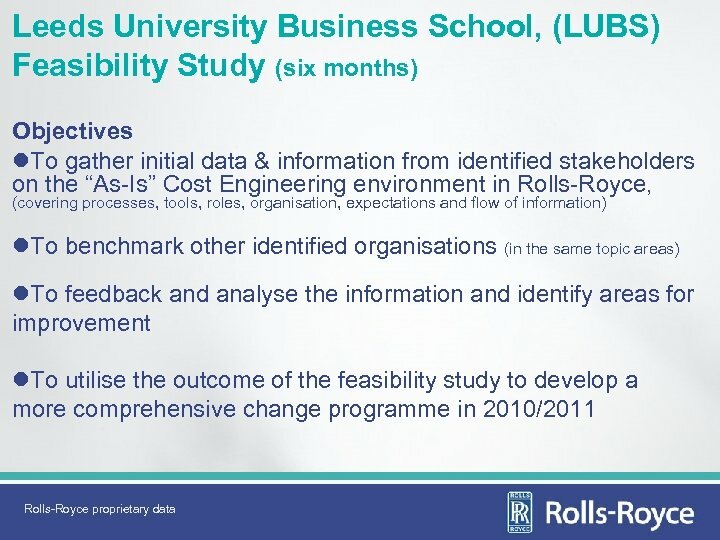 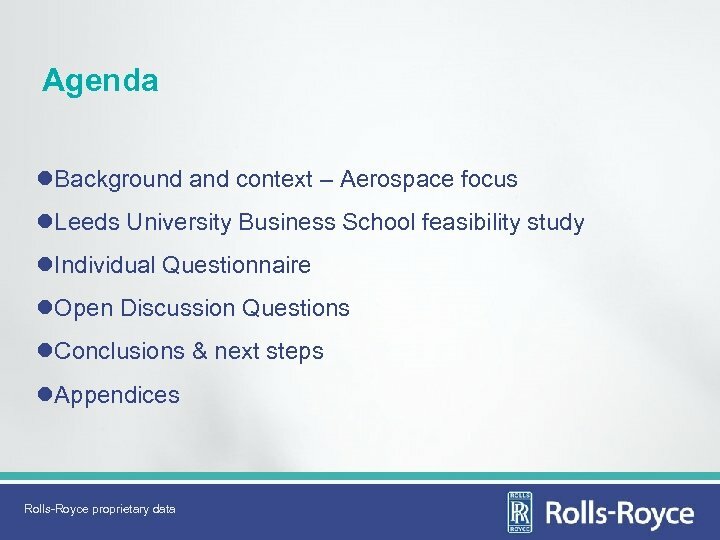 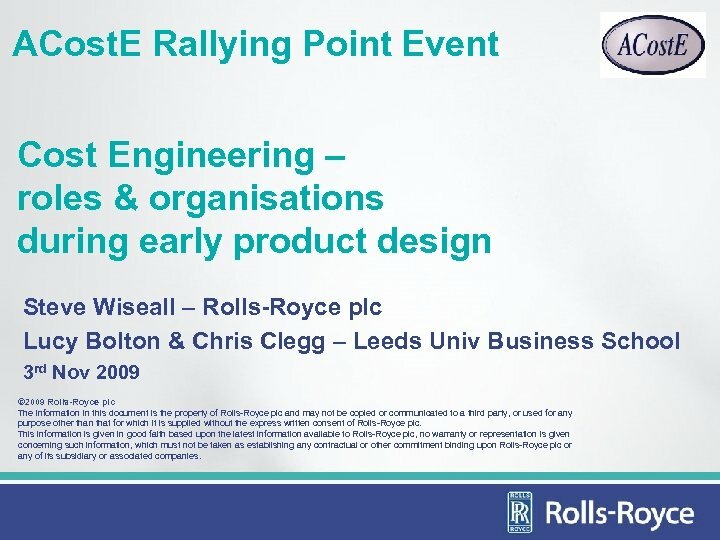 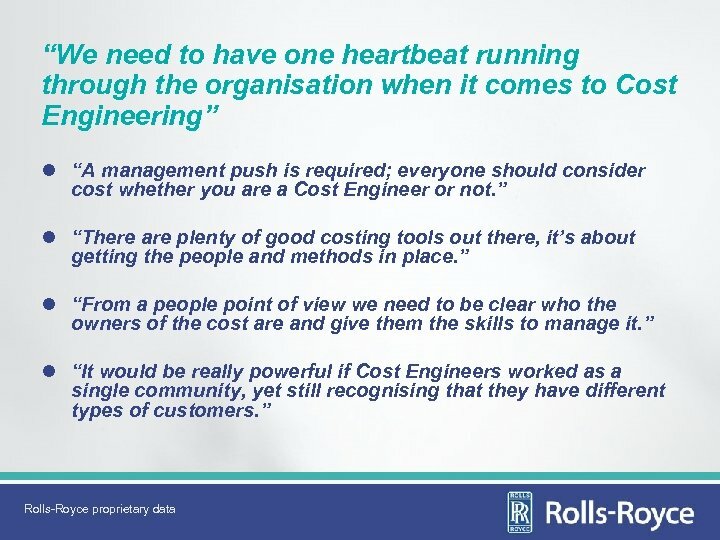 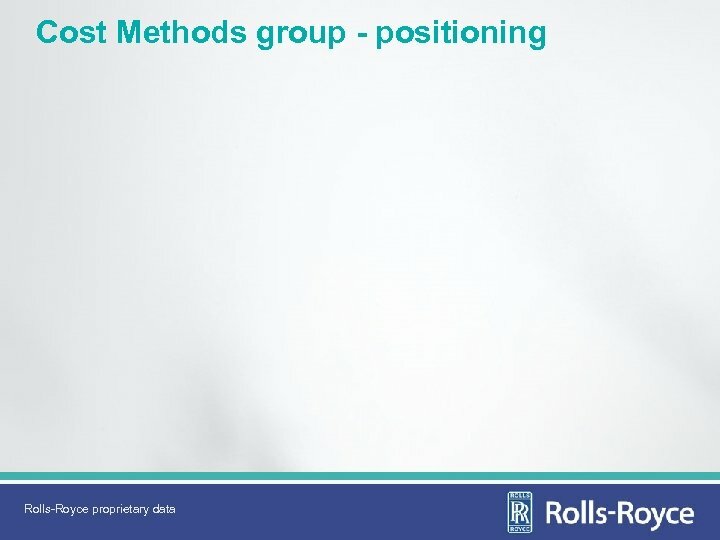 E Rallying Point Event Cost Engineering – roles & organisations during early product design Steve Wiseall – Rolls-Royce plc Lucy Bolton & Chris Clegg – Leeds Univ Business School 3 rd Nov 2009 © 2009 Rolls-Royce plc The information in this document is the property of Rolls-Royce plc and may not be copied or communicated to a third party, or used for any purpose other than that for which it is supplied without the express written consent of Rolls-Royce plc. 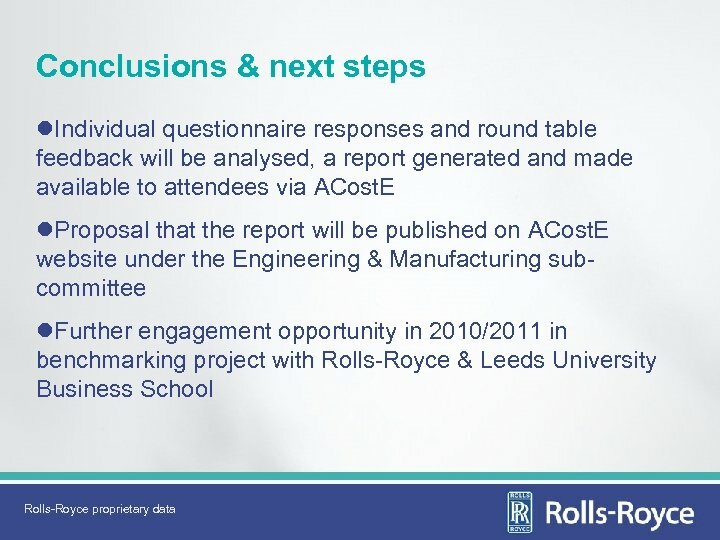 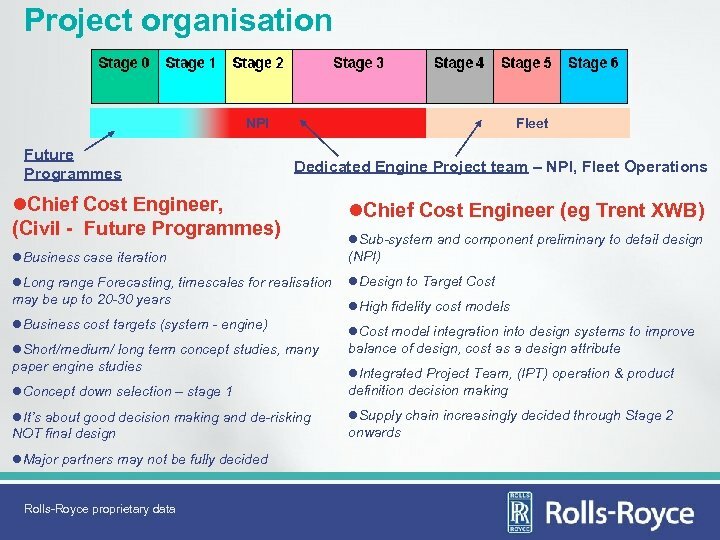 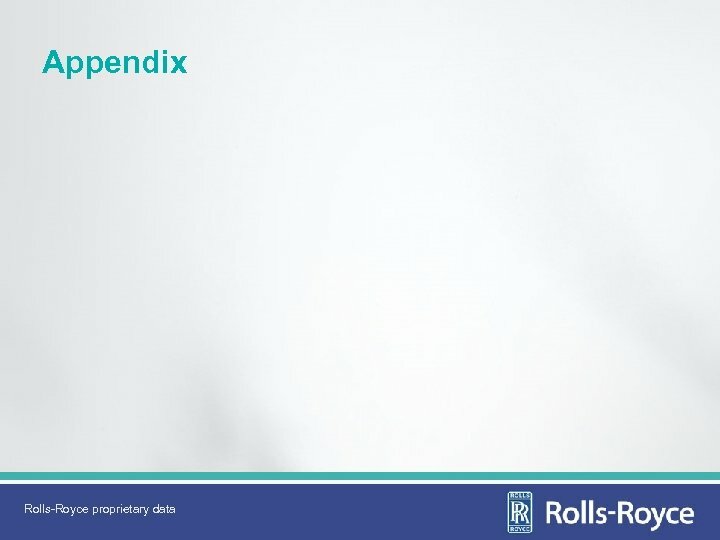 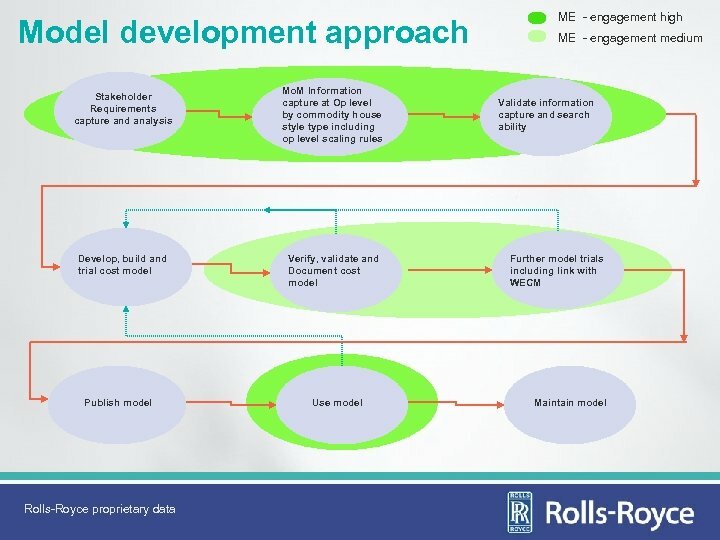 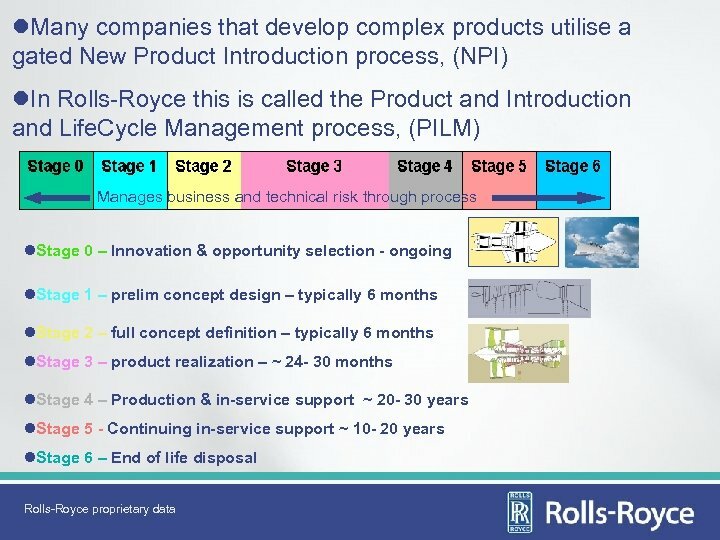 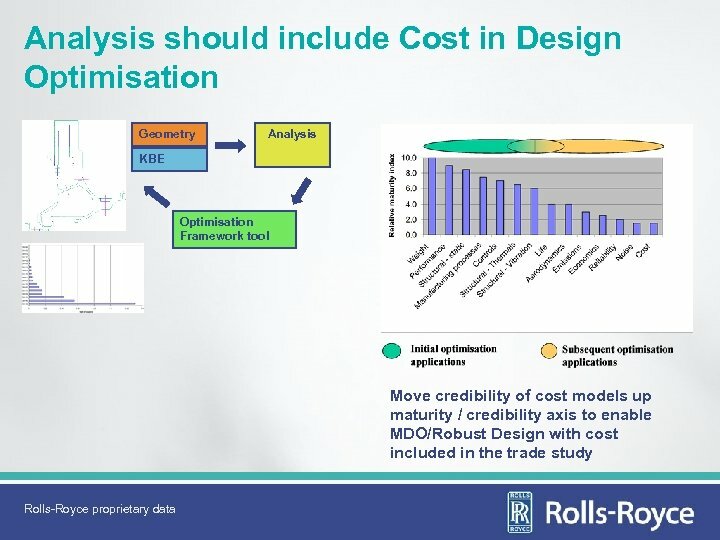 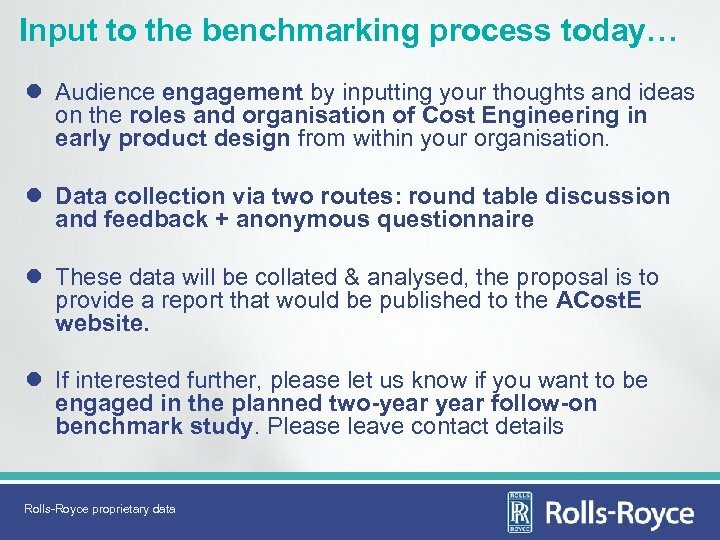 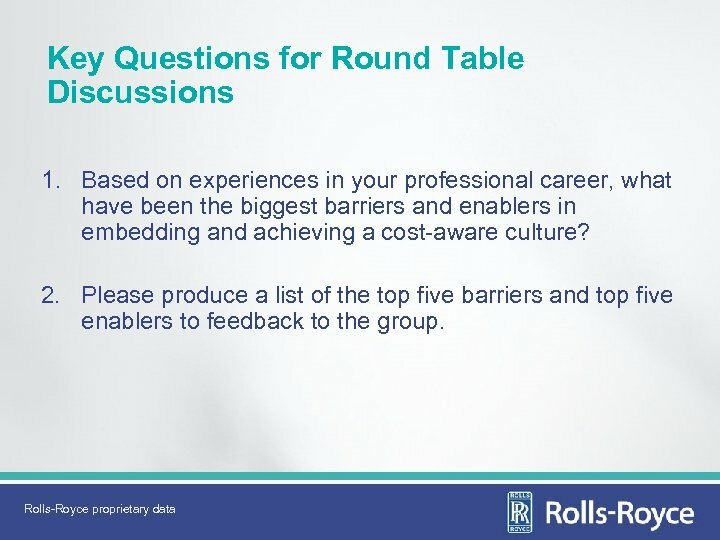 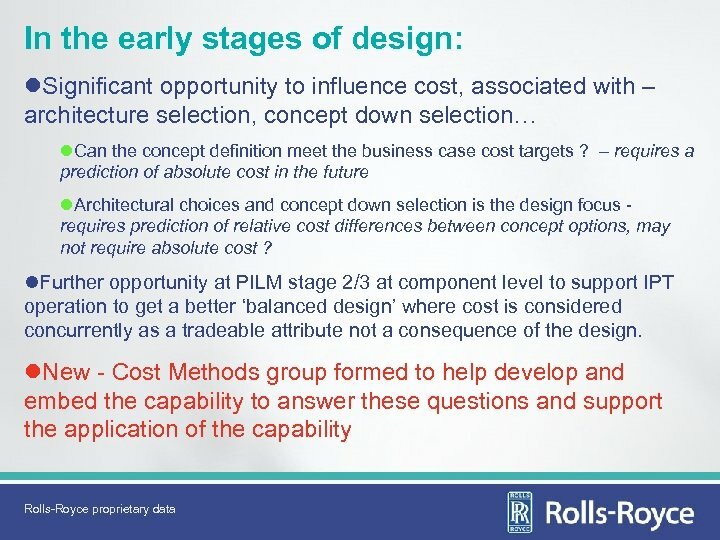 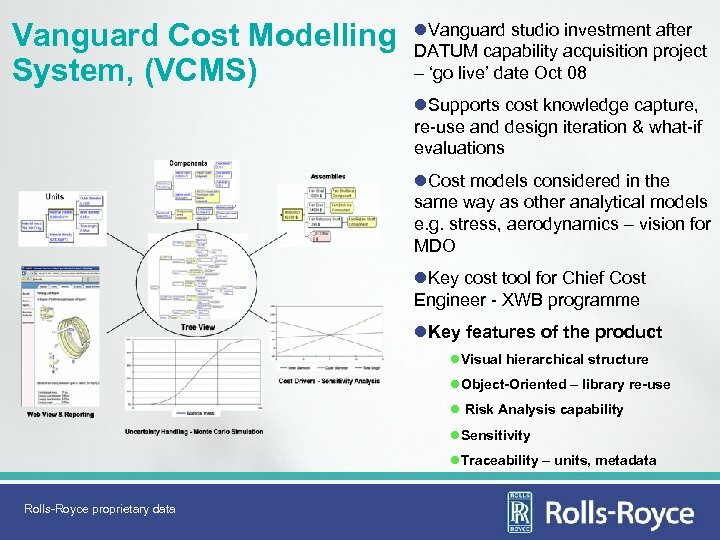 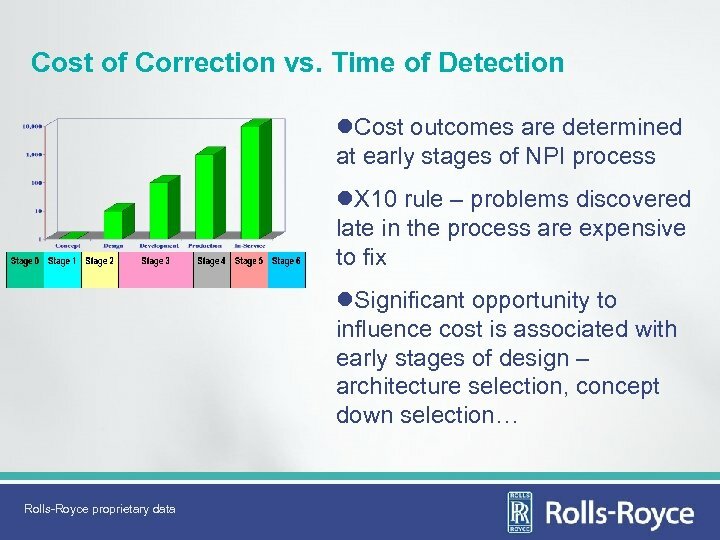 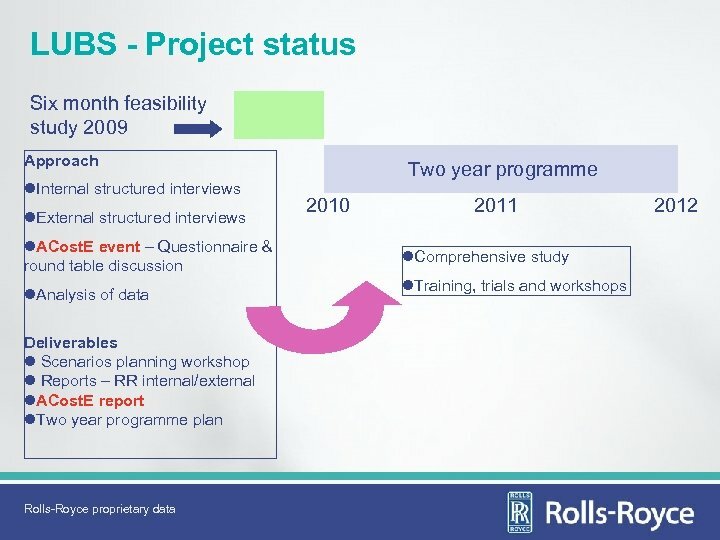 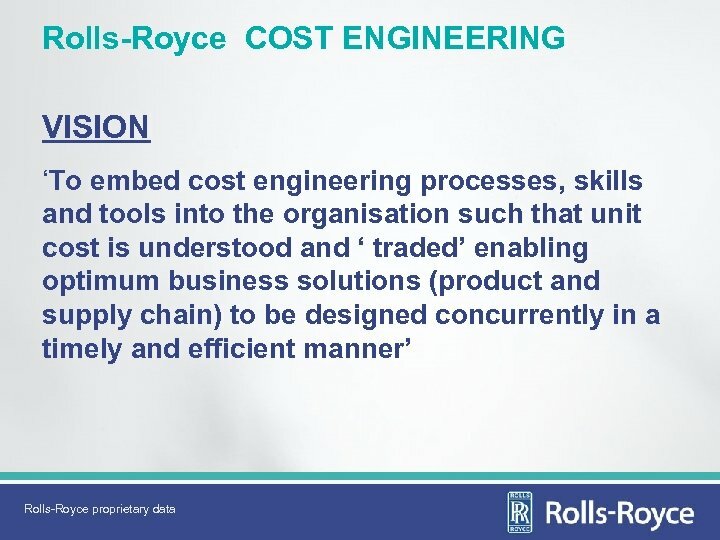 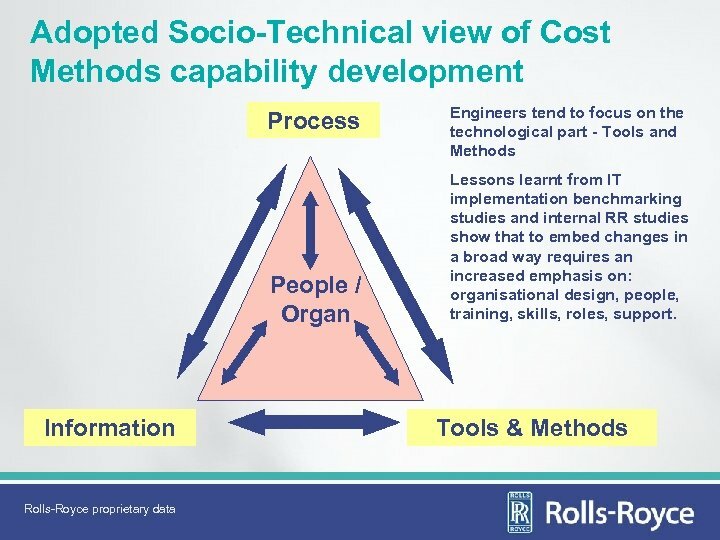 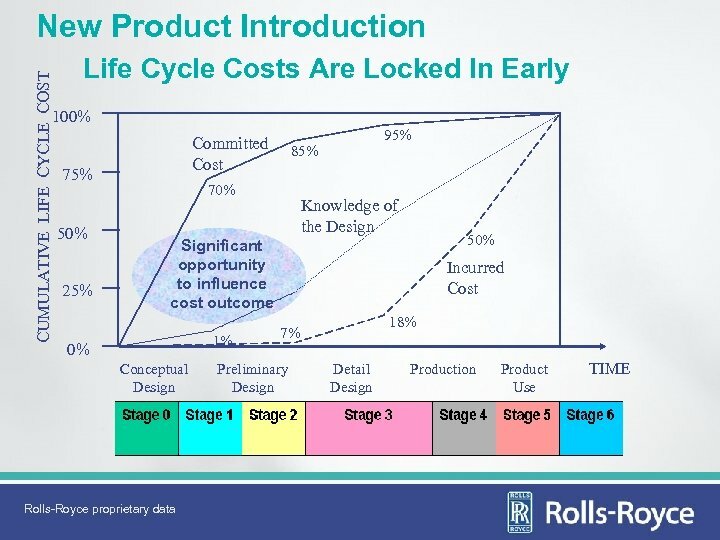 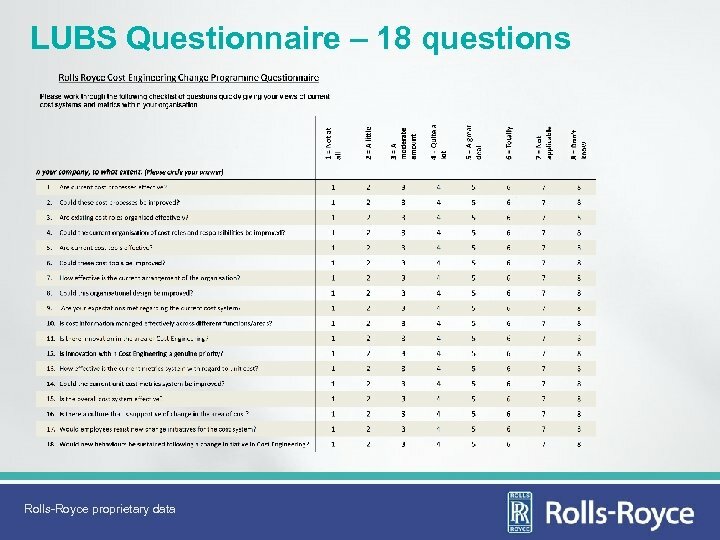 This information is given in good faith based upon the latest information available to Rolls-Royce plc, no warranty or representation is given concerning such information, which must not be taken as establishing any contractual or other commitment binding upon Rolls-Royce plc or any of its subsidiary or associated companies.